With nearly 30 years of industry experience – always staying on the bleeding edge of innovation – Bob Cooney is able to predict both tech and business trends. This gives his clients the unfair advantage of knowing where the market is going and getting there before their competition figures it out. Bob can connect dots that many technologists just can’t see because he views technology trends through the lens of an experienced marketer. Bob Cooney is a location-based entertainment and virtual reality veteran, with experience bringing high tech out-of-home entertainment to consumers, operators, and venues. 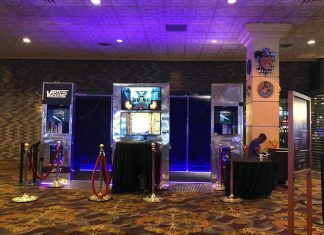 In 1991, as founder and CEO of NASDAQ-listed laser tag pioneer Laser Storm, he partnered with Edison Brothers Stores to introduce laser tag and Virtuality VR centers across America. He later joined the initial executive team of Global VR, which introduced the first commercially successful virtual reality arcade game, the “VR Vortek”, and the first successfully licensed AAA PC-to-arcade cabinet conversion, “EA Sports PGA Tour Golf”. Cooney went on to become VP of marketing and business development of Ecast, who introduce the world’s first broadband-enabled digital jukeboxes, and COO of NTN Buzztime, the networked trivia game company where he launched the restaurant industry’s most successful restaurant entertainment system into chains like Buffalo Wild Wings. 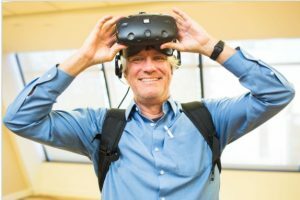 Cooney is excited about this third wave of VR and its potential for the commercial amusement space. He now consults on strategy and business development for VR manufacturers and operators, including Zero Latency, the global leader and pioneer in free-roam multi-player VR, with warehouse-scale game arenas on four continents. Cooney has been a long-time vocal proponent of leveraging new consumer technology to keep the out-of-home amusement industry relevant at a time when in-home entertainment continues to threaten its very existence.